Mindfulness is a real buzzword at the moment right. We are hearing about Mindfulness helping in almost every sphere of our lives. 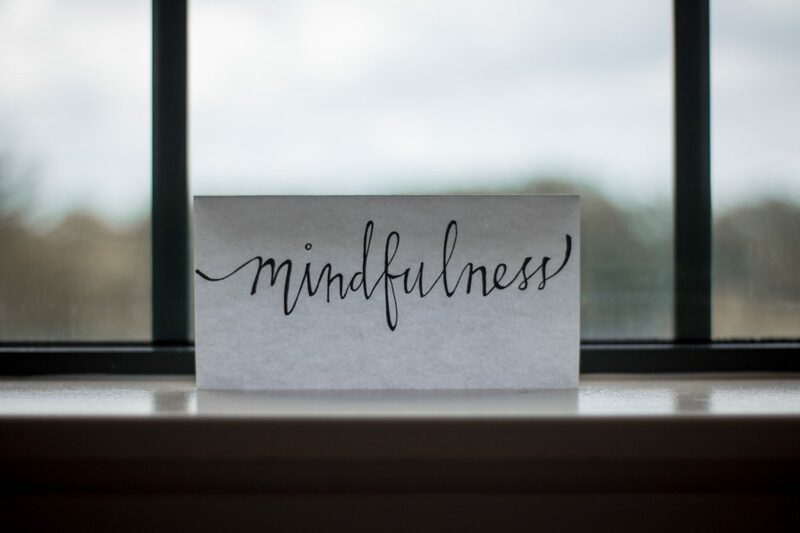 The benefits of Mindfulness include enhanced productivity, enhanced creativity, improved interpersonal skills, reduced absenteeism, weight loss, increases in happiness, savouring, improved sleep and we even believe it is linked with less cardiovascular disease. Consistent practice over 8 weeks actually leads to positive structural changes in your brain. You can see why it’s a buzz word alright! It’s actually not new, Mindfulness has been around for a long time, in the Western World we have been talking about it for 15-20 years. In the Eastern World Mindfulness has been around for millennia. Large employers such as Google, Price Waterhouse Cooper, Transport for London and locally here in NZ companies such as Easi Recycling NZ have implemented Mindfulness Programs for their employees, why ? Well of course because they care about their greatest asset, their staff; and they care about their bottom line, Mindfulness really works in helping us to be happier and more productive. I have been thinking more recently about Mindfulness in a wider perspective, not just you or I meditating independently but what mindfulness means in terms of how we interact with each other, how we create cultures of acceptance and productivity and more widely the footprint we make in the world. Mindfulness helps us to communicate more effectively, to listen without judgement or expectation. How powerful it can be to truly hear the message someone is sending us. Imagining this skill put to the test in a workplace setting, between employees and management, with clients and other stakeholders, the benefits would be incredible. Mindfulness does not mean we passively accept things that do not meet our expectations. Quite contrary to this, Mindfulness gives us the ability to creatively problem solve, it helps us see things from varied perspectives, to generate enthusiasm and buy in from other stake holders. Taking the time for practicing mindfulness ironically helps us to be more time effective and reduces misunderstandings. When we consider the impacts of this on an individual scale it is interesting. When we consider the impact of this within organisations and whole sectors then it is becomes a very exciting conversation. Only when we see employers facilitating mindfulness we will we begin to change things on a global level. Employers are doing a lot nowadays to create and facilitate healthy work environments. There are strong legal, ethical and financial arguments for supporting employees to maintain a healthy work life balance and good mental wellbeing. Mindfulness will inevitably be part of this conversation. How can your workplace provide you with the tools and resources necessary to implement Mindfulness? It doesn’t need to be as complicated as you think! PMW has created an 8 Week Online Mindfulness Course that introduces numerous mindfulness techniques and helps students to select the techniques that will work for them. The course is offered online so can be accessed from any home or office. It doesn’t matter if you are a small team or a nationwide company with multiple sites, if utilised this mindfulness course will help you and your team to be more resilient, more productive and improve mental wellbeing. The PMW Mindfulness Course is interactive and includes a number of formats including downloadable video, audio, practice and readings. Course completion is certified and ongoing support both during the course and after course completion is offered by a registered and experienced psychologist. The material has been created by Samantha Spafford, founder of PMW Online Psychology (Australia and NZ), certified Mindfulness Teacher and Psychologist with extensive meditation experience. Sam is also available each and every week for a live Q and A session. The course is designed to be just as applicable to everyone within an organisation, all the way from the CEO, to the intern. Each student is allocated their own unique log in so that they can track and record their own progress. One employer subscription ($167 per month) is valid for unlimited employees making this the best value mindfulness course you will find. Hundreds of students now have benefitted from this course and helped us to shape it into what it is today. If you are interested to hear more about the 8 Week PMW Mindfulness Course and how it can improve your workplace, please get in touch for sign up and/ or further information.